When Peter Kazacos, founder and Director of Strategy and Innovation, decided to formalise his approach to corporate marketing he personally selected Sharon Williams from Taurus Marketing. It is an alliance that is still going strong and has grown far beyond the original brief. Since 1995, KAZ, a leader in the Australian IT outsourcing and technology services industry, has achieved phenomenal growth from a turnover of $11 million and 60 employees in 1995 to $320 million and 2500 employees in 2003. Running a dynamic and fast moving enterprise, Peter Kazacos required flexible marketing assistance within budget that would easily anticipate his needs. Taurus began to assist KAZ with PR in late 1997 when the two objectives were to raise the company profile and that of Peter Kazacos in preparation for the company’s listing on the Australian Stock Exchange in March 2000. 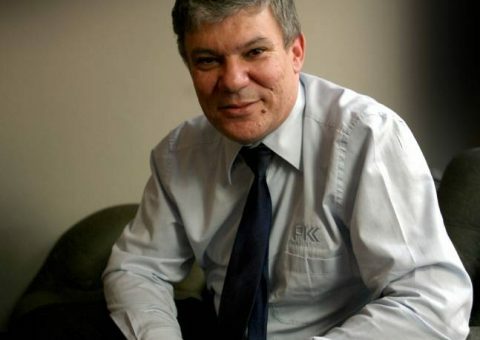 Barely a week passes without Peter Kazacos’ opinion being sought by business journalists as a spokesperson for the IT services and outsourcing industry. KAZ is a name that frequently makes the business pages of top publications. For Peter Kazacos the results of good branding cannot be underestimated. Taurus built a sturdy brand to represent KAZ’s position and market aspirations. The company brochure and fact sheets developed to launch the new KAZ image were so impressive that, five years later, they have only just been replaced to reflect new acquisitions and company re-branding. In the early days, KAZ found Taurus’ mentoring service to be one of their most valuable offerings. Taurus was engaged to help hire and provide ongoing one-on-one mentoring for the new KAZ marketing graduates.